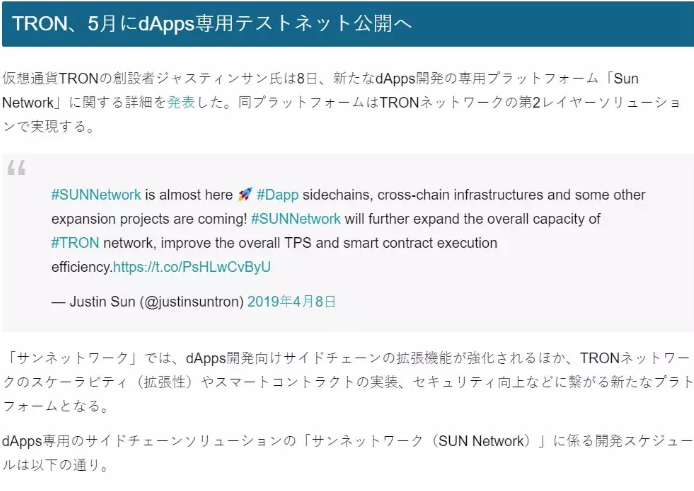 Recently, the COIN POST published an article by the Japanese media.”alley Network will publish a test Network for DApps, Sun Network, in May. COINPOST is one of the largest cryptocurrency and blockchain media in Japan. Providing quality and important blockchain news to a large number of Japanese investors.